Friday, April 19, 5:30 pm | Market Square | All Are Welcome! 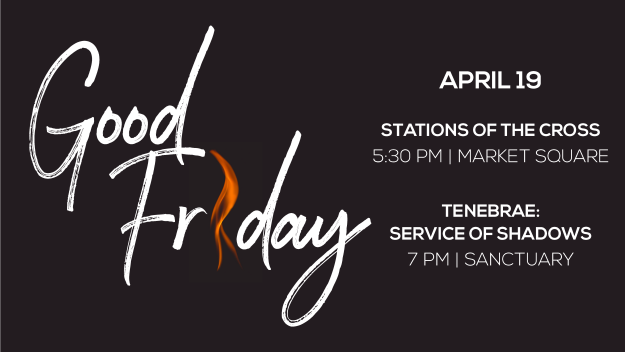 Stations of the Cross is an annual event presented by the downtown churches where everyone gathers in Market Square and travels to seven stations for an expedition that depicts Christ's journey to the cross on Good Friday. The Tenebrae: Service of Shadows is a walk through the final dark days that lead to the cross. Music and scripture accompany the extinguishing of candles as we depart in silence with Christ in the tomb.